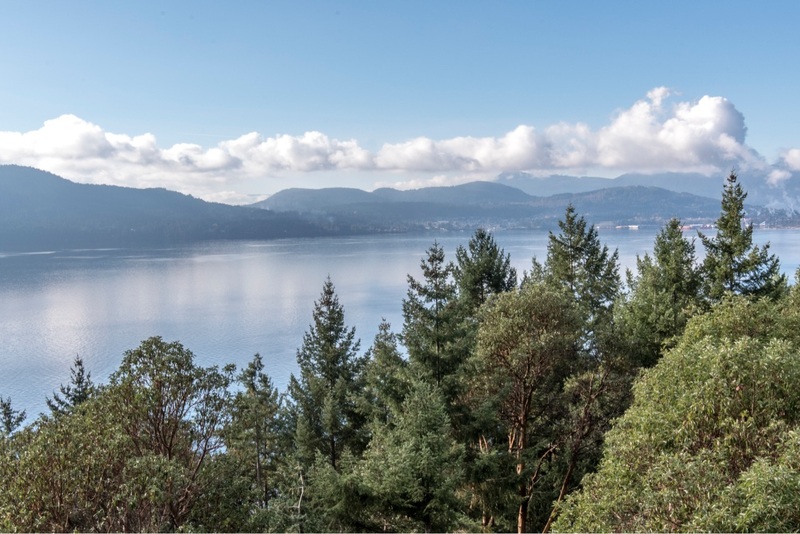 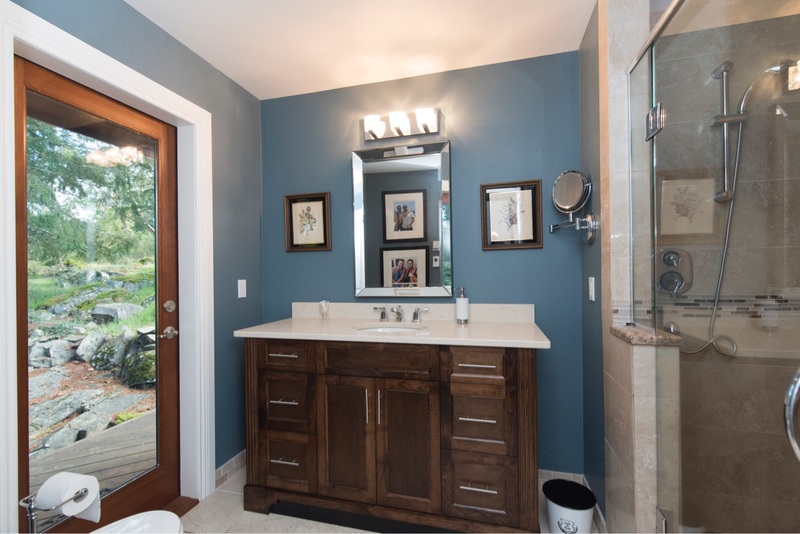 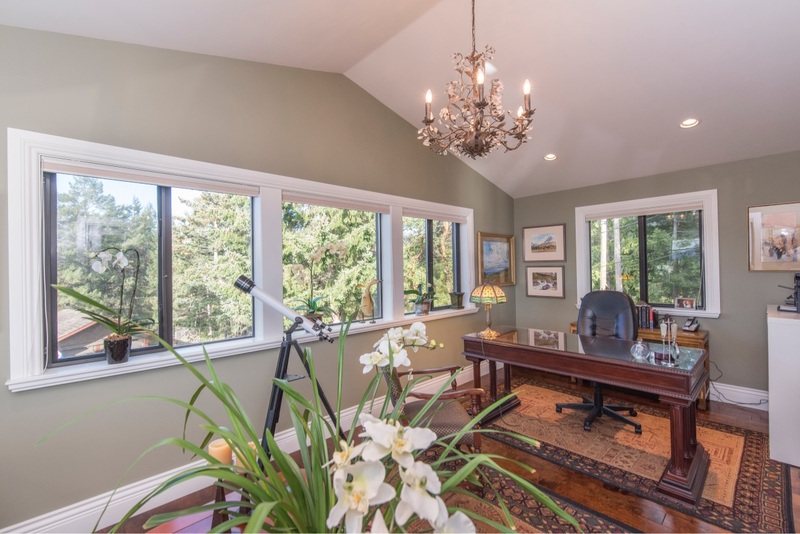 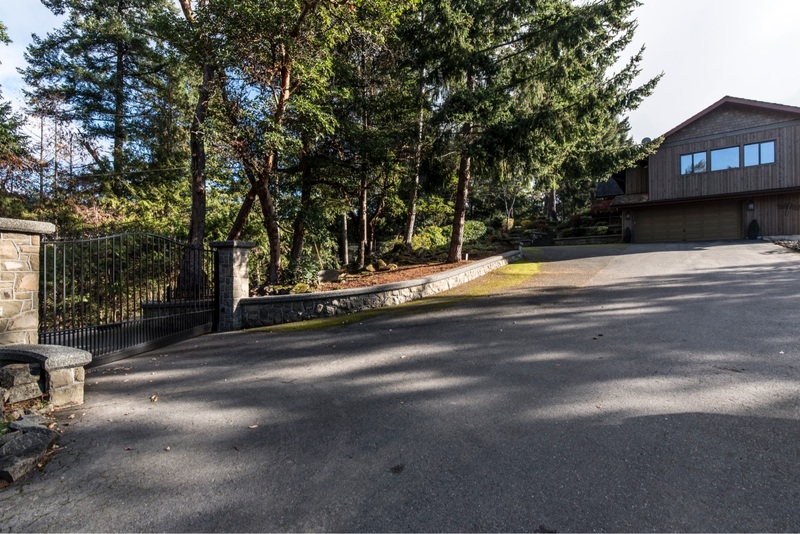 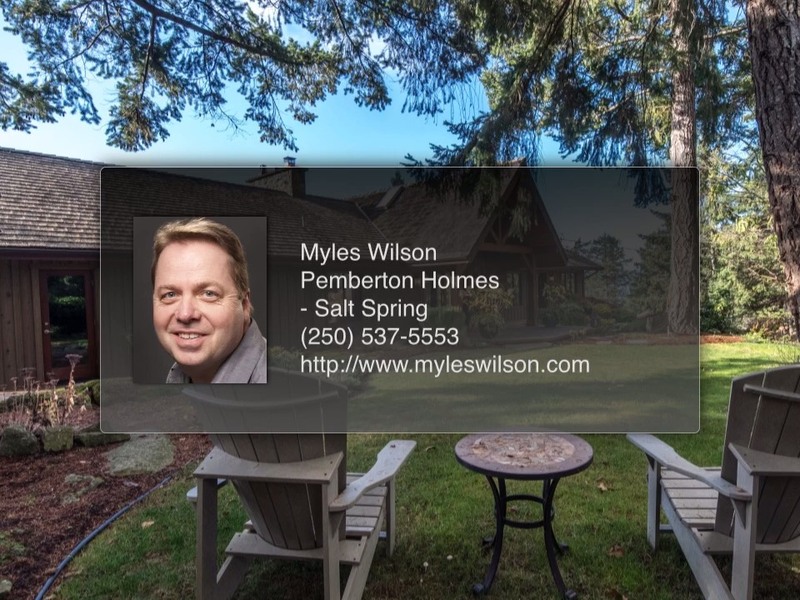 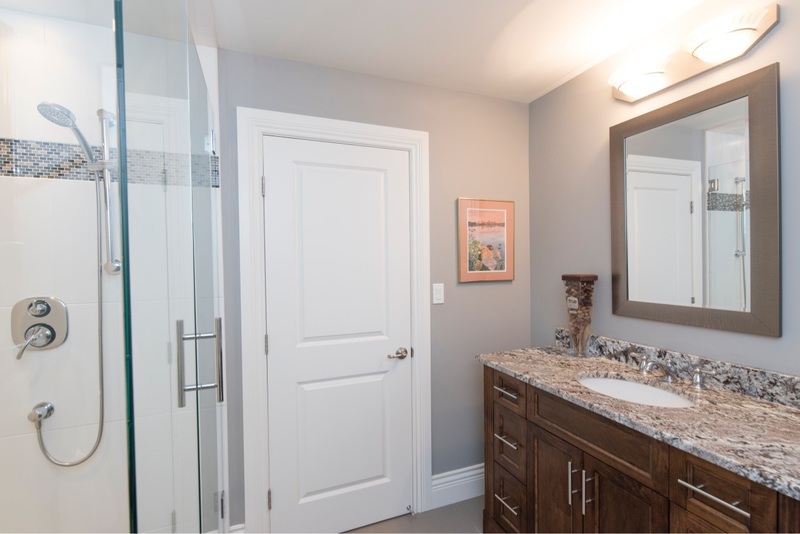 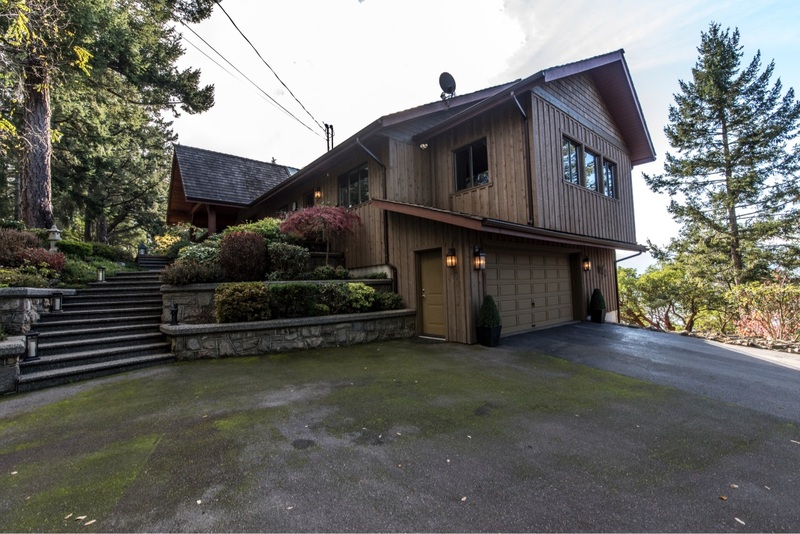 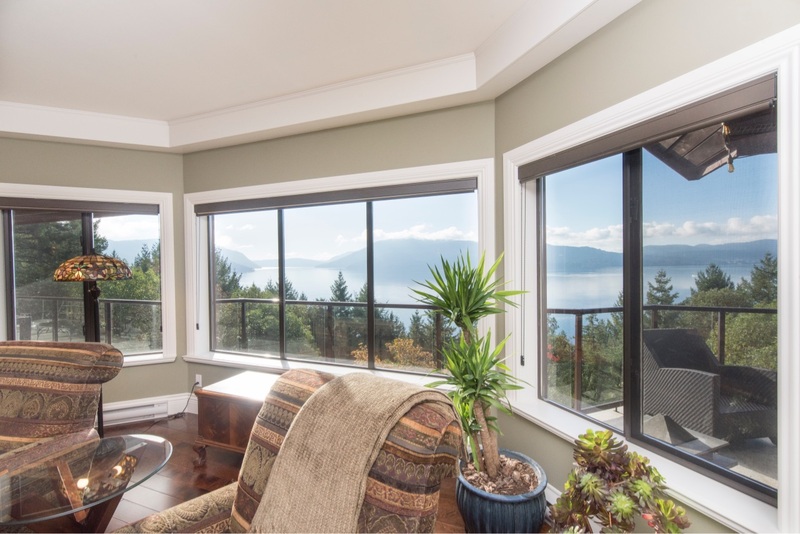 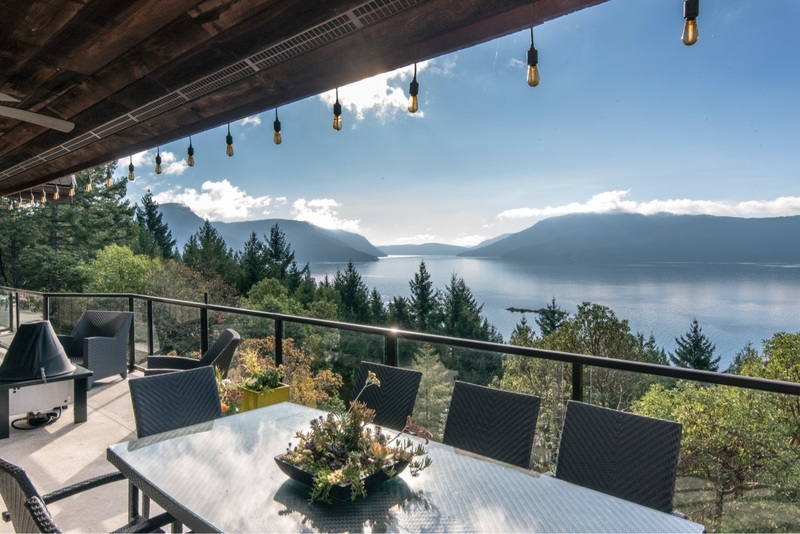 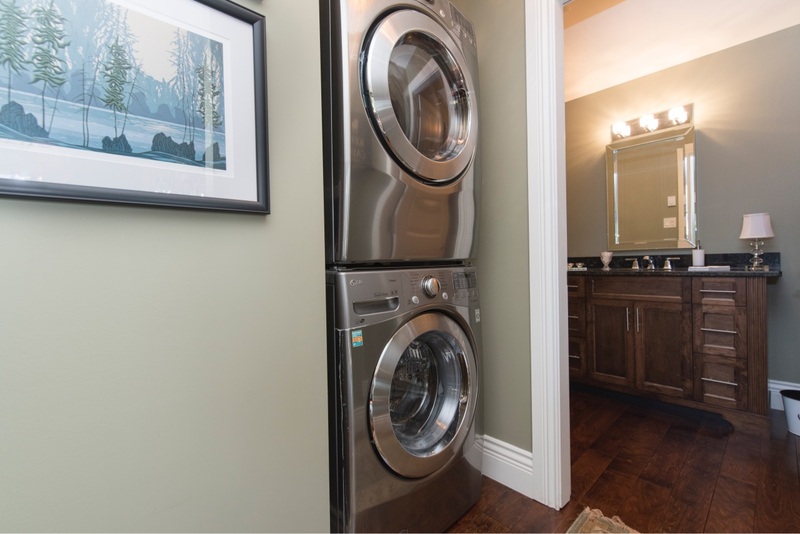 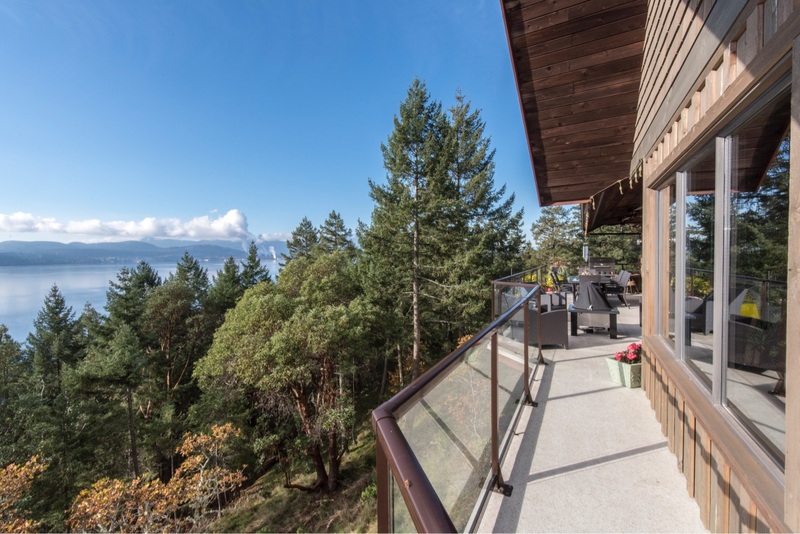 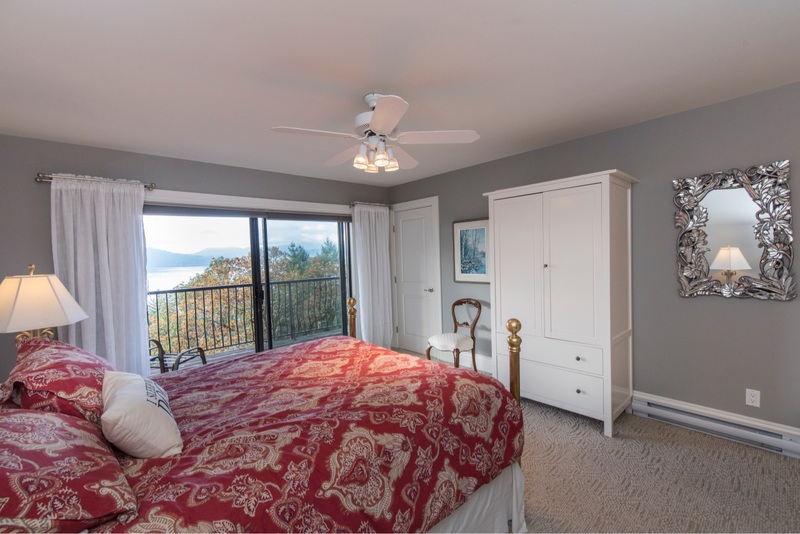 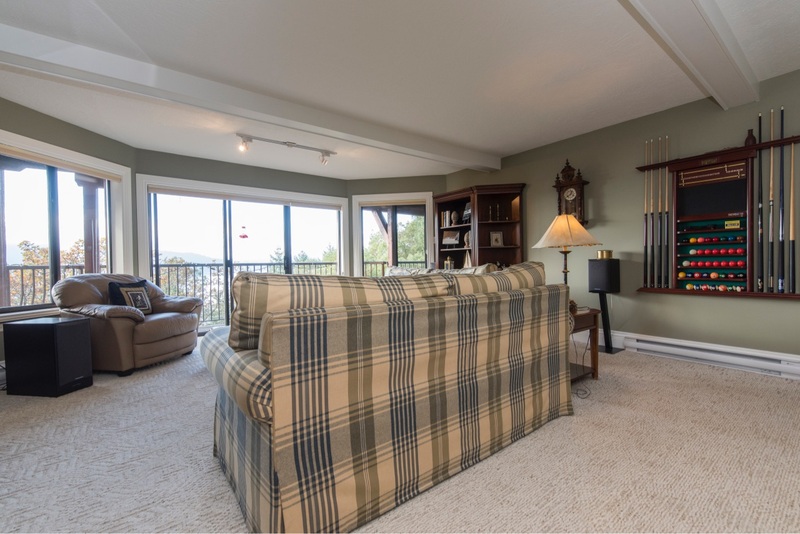 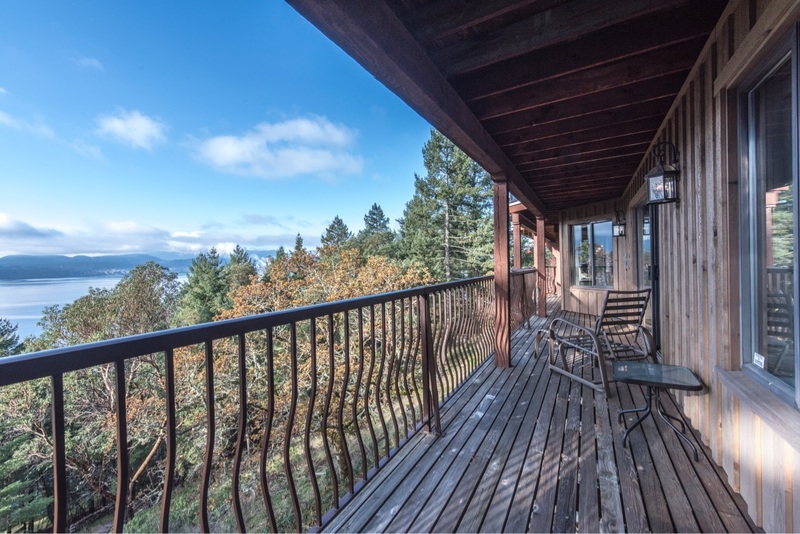 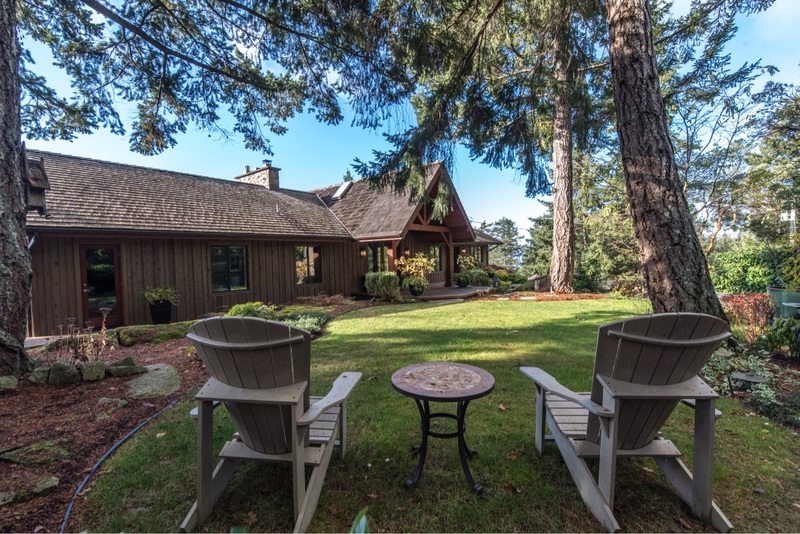 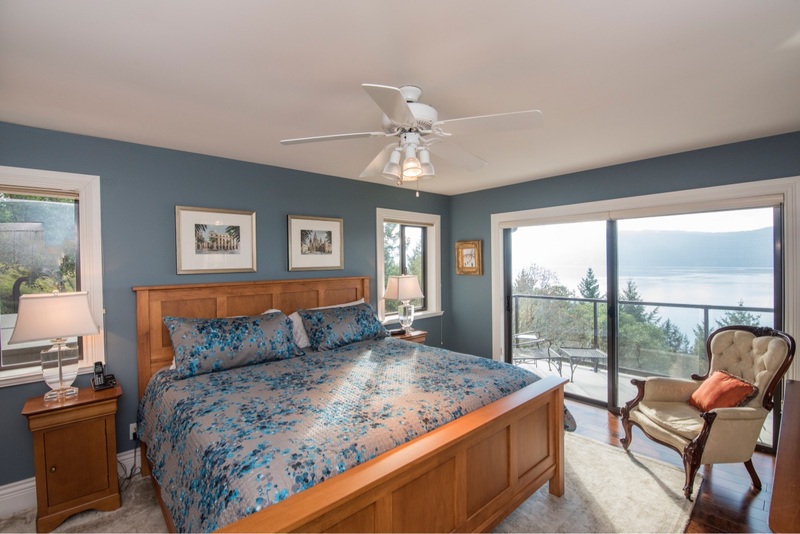 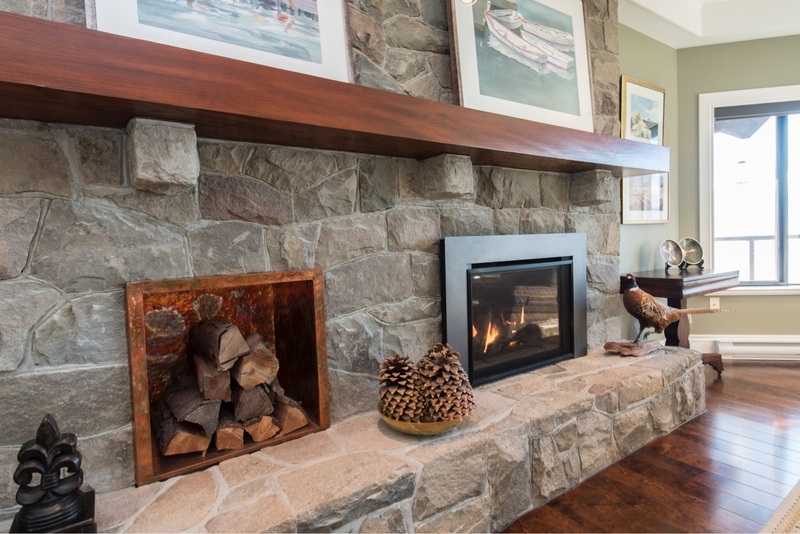 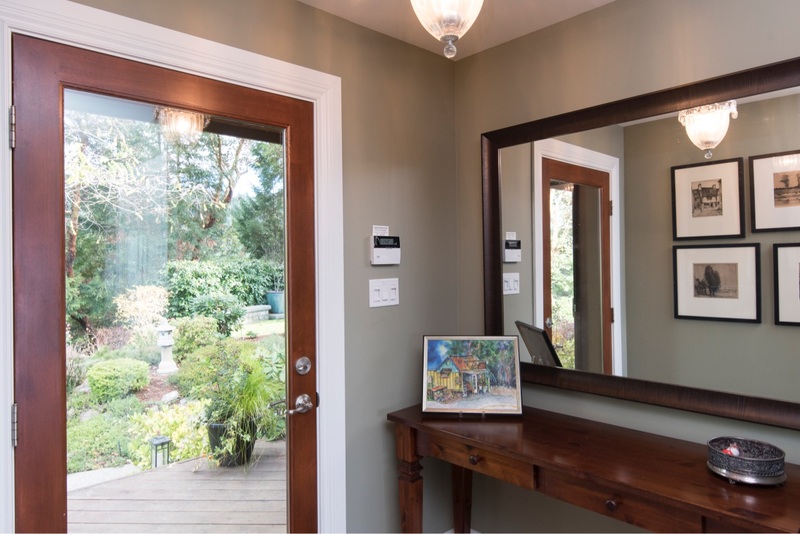 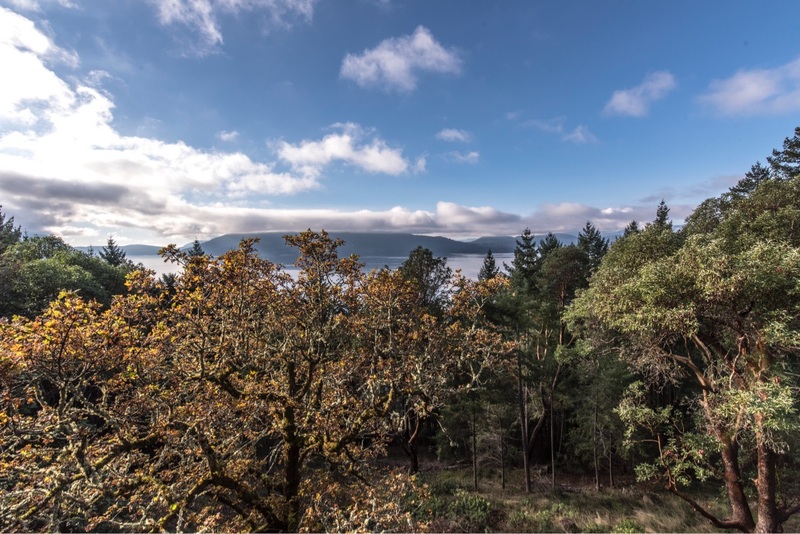 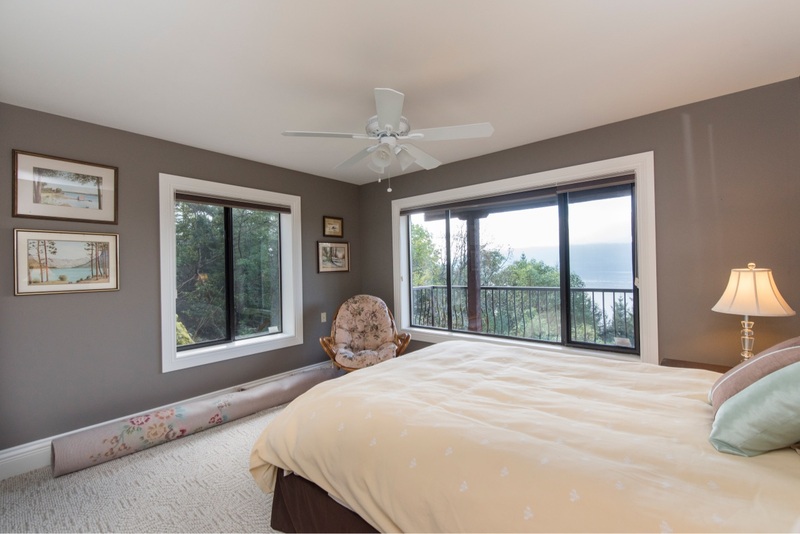 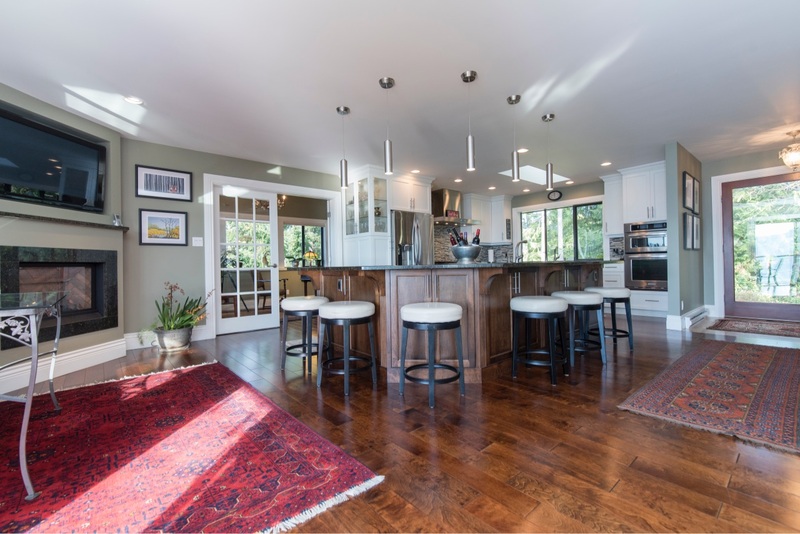 Warm, inviting, private & secure, hushed within old age Douglas Firs, this home represents the West Coast lifestyle. 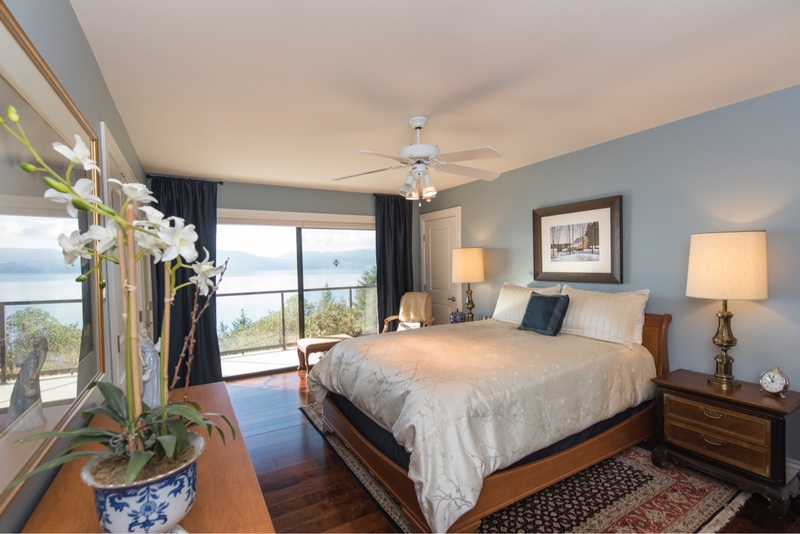 Over sized rooms all having large glass expanses reveal the artistic scenic views from all vistas. 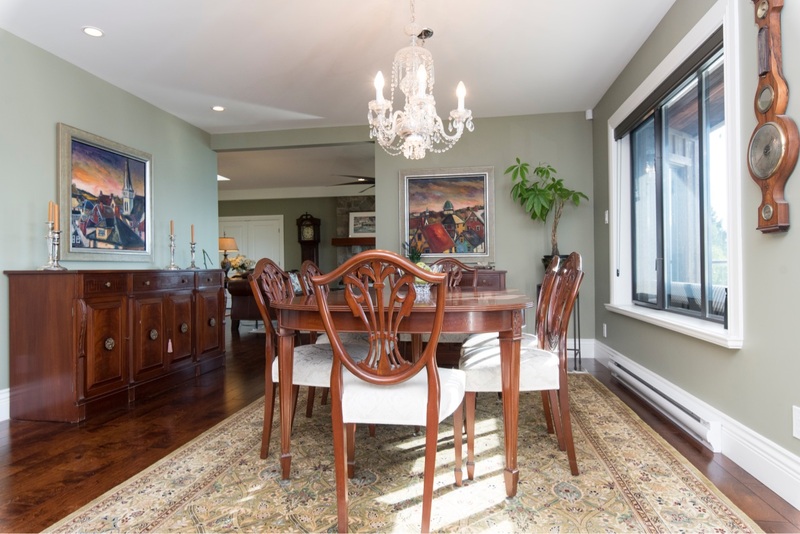 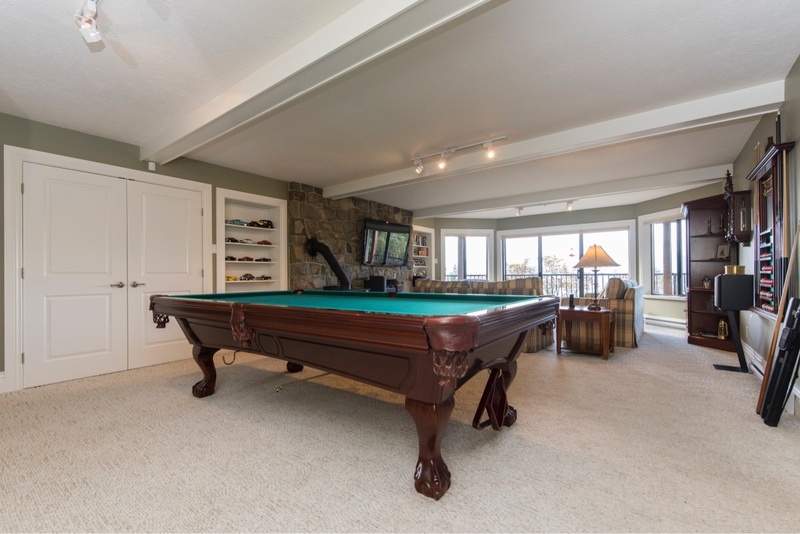 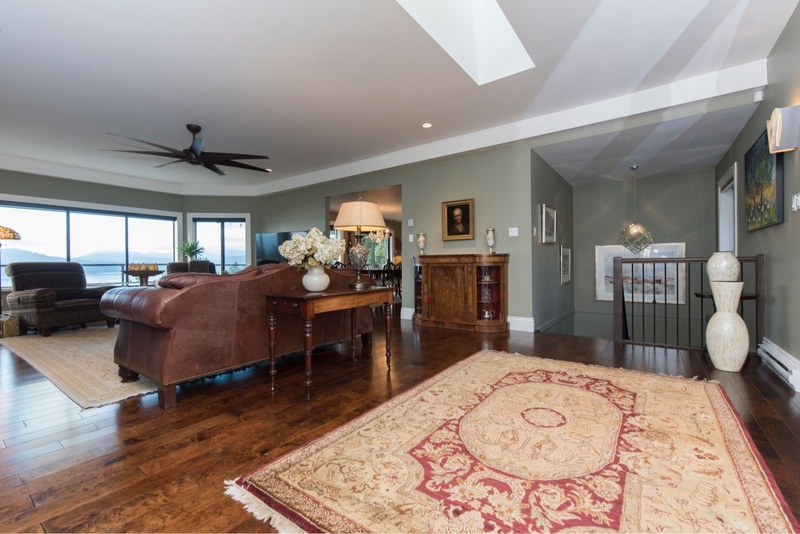 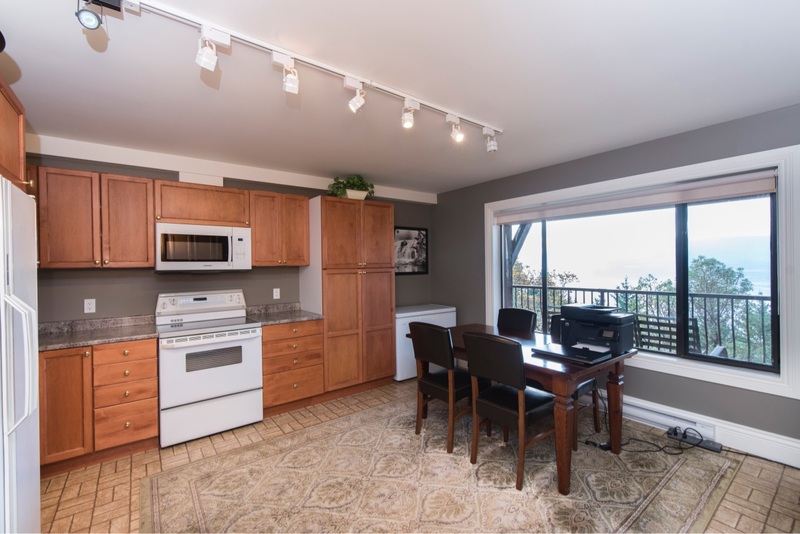 Constructed to the highest standards, extensively renovated, & well maintained. 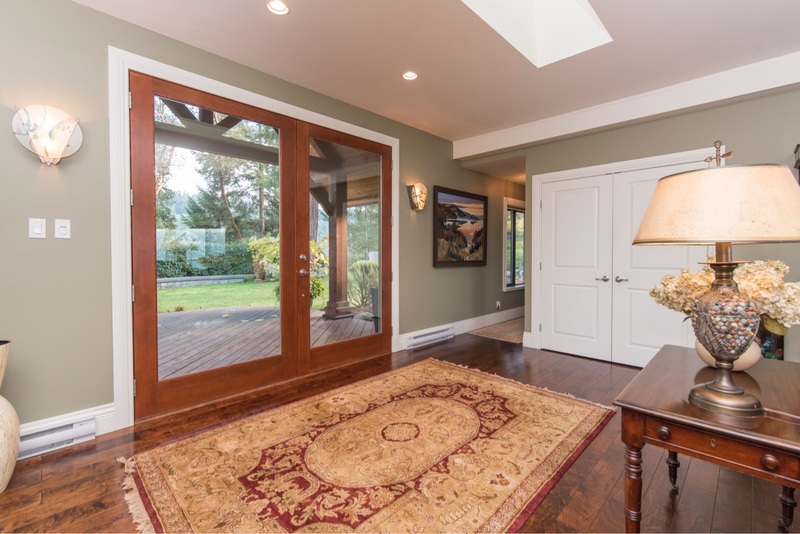 The interior is generous with 4,380 sqft including 4 bedrooms, 3 with en-suites, wrapped with large decks with 8 gateways to the interior. 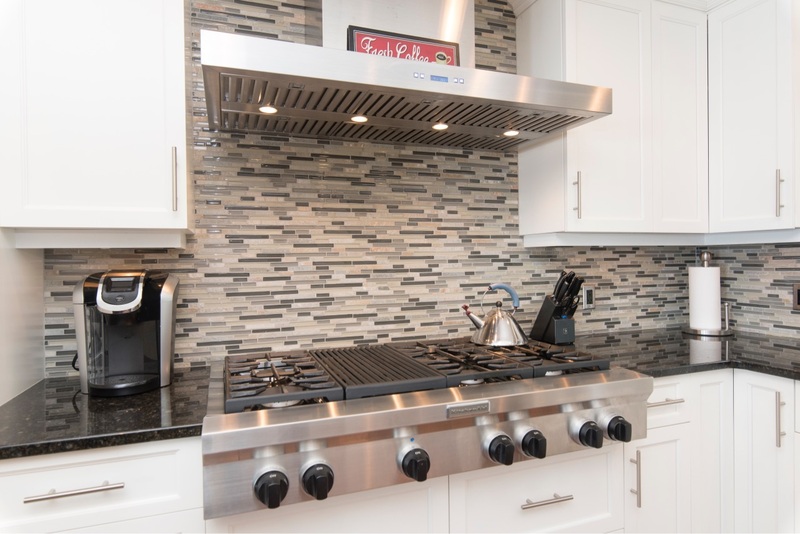 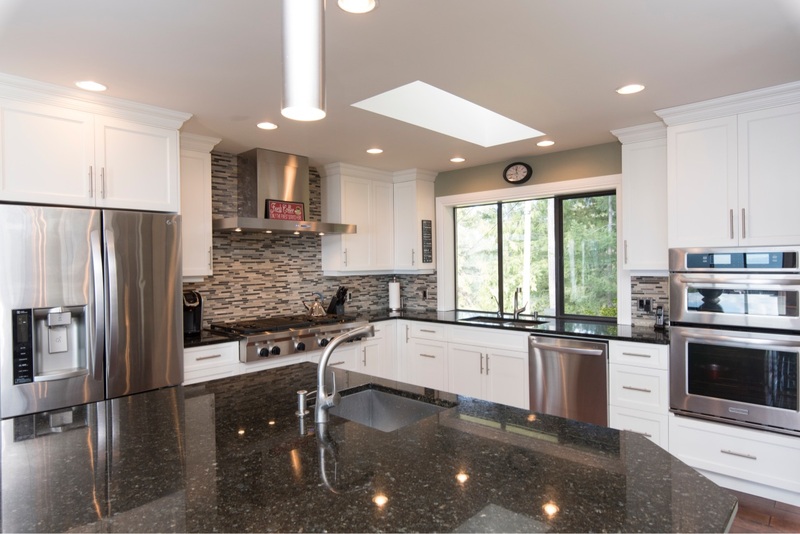 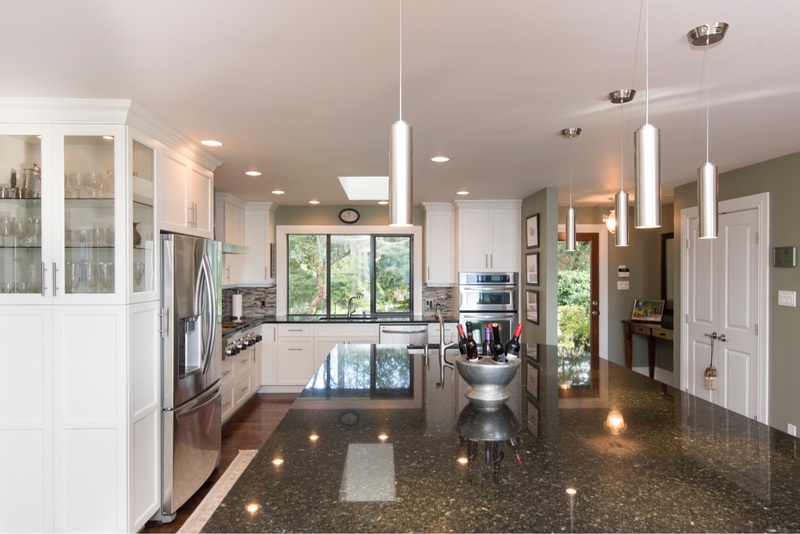 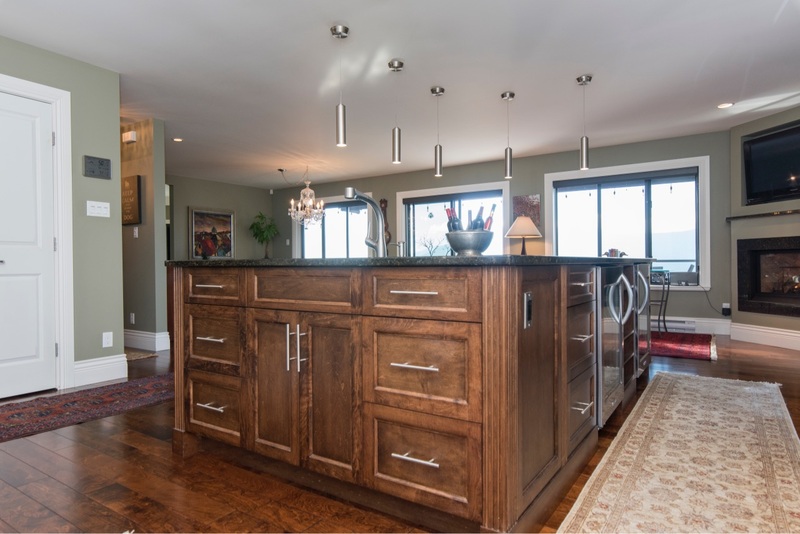 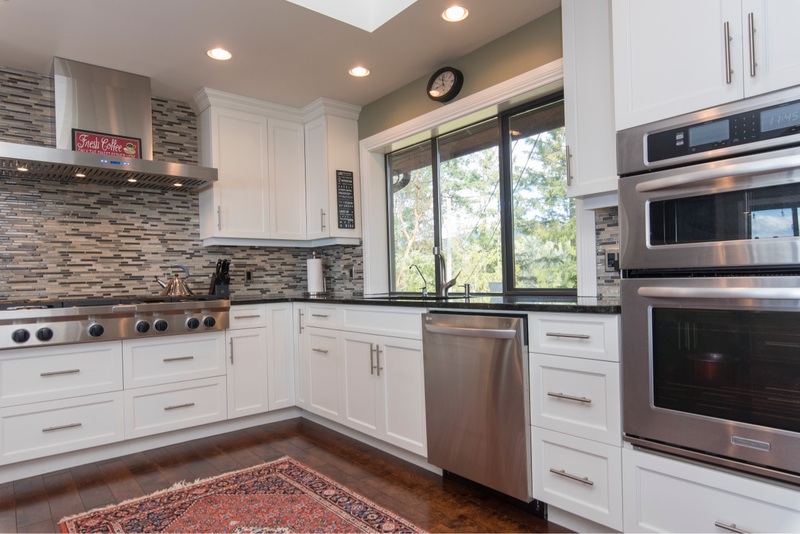 The kitchen features a gas fireplace, over sized entertainment island with built in bar & wine refrigerators, ample storage capacity and a gas 6 burner/grill cook top surrounded by granite counters tops. 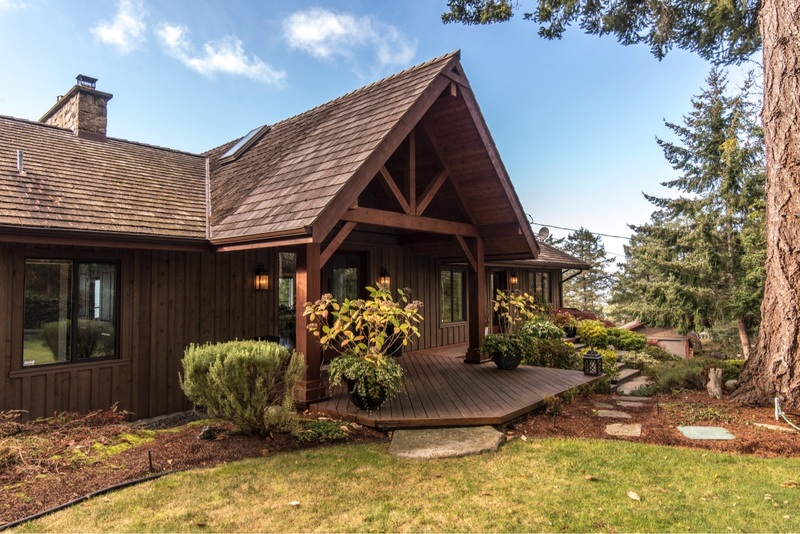 The 2.2 acre grounds are gated, with extensive stonework & perennial landscaping leading up to the cathedral post & beam double glass door entry. 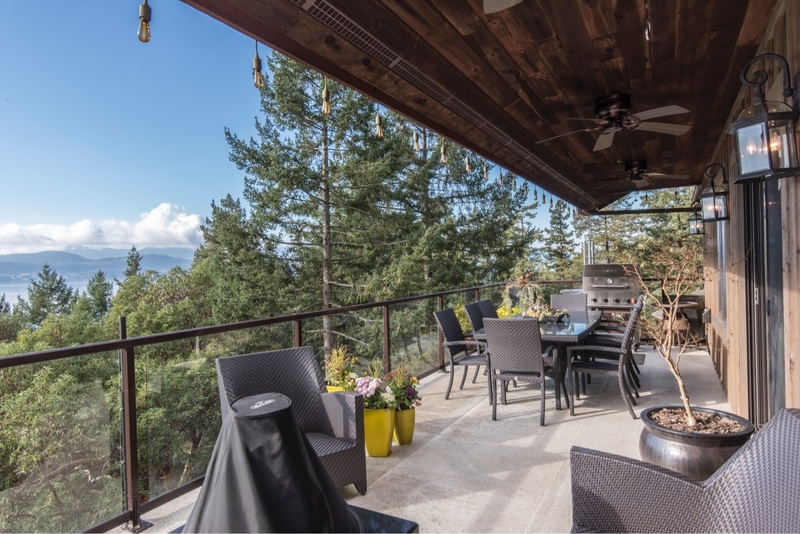 The acreage has the tailored, but also rugged natural attributes allowing the home to carefully blend naturally with its surrounds. 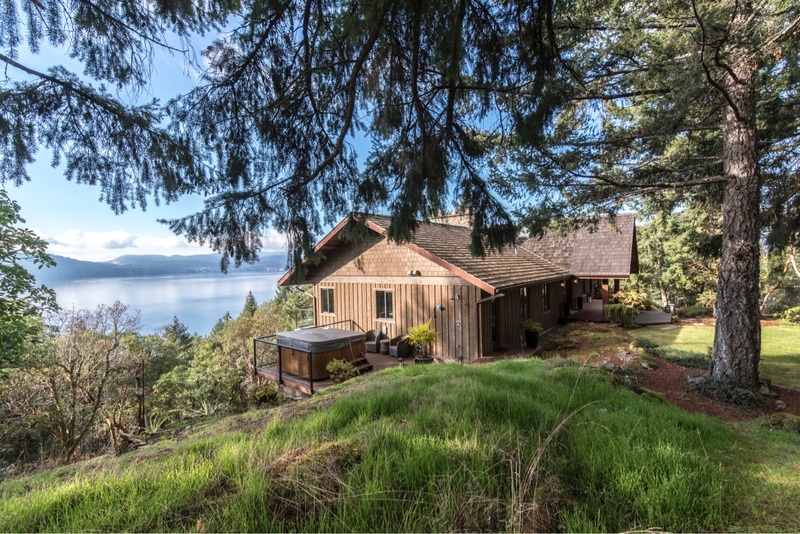 Bathed in sun this S/W orientated home is passively heated during the winter.